Bankruptcy is the process of declaring yourself insolvent and is declared when an individual can no longer meet their debt obligations. Bankruptcy law is a way for debtors to be given “a second chance.” It shields individuals from creditors’ claims that could result in the taking of one’s home, automobile, and other valuable assets due to the inability to pay creditors. Effective in 2010 the federal government updated its federal exemptions for those filing bankruptcy in the United States Bankruptcy Courts. Under the federal exemptions an individual who files for bankruptcy is entitled to shield from creditors: a homestead worth $21,000; household items up to $11,000; jewelry up to $1,500; a motor vehicle up to $3,500 and Tools of one’s trade up to $2,200. These items are shielded from creditors and may not be foreclosed on under federal regulations. Student loan debt is not shielded from creditors through bankruptcy either through the federal government or through Colorado law. In addition, Colorado has its own bankruptcy laws that have additional exemptions that correspond with the federal laws. Under Colorado’s exemptions you may exempt homestead property up to $300,000 that can be claimed by a spouse or child of deceased; disability payments up to $200 per month or its total if it is a lump sum amount; life insurance if the policy specifically shields the proceeds from creditors; child support and property of business partnerships; Pensions of specific employees; clothing up to $1500; food and fuel up to $600; household goods up to $3000; jewelry up to $1000; 75%% of wages earned but unpaid; tool of trade including up to $25,000 for farmers and up to $3,000 for a professional library. Why do I need a Colorado Bankruptcy Lawyer? In order to meet the high requirements to file for bankruptcy in the United States, and in the State of Colorado you will want a Colorado Bankruptcy Lawyer. A Colorado Bankruptcy Lawyer will be essential to help you evaluate your situation, decide whether you should declare bankruptcy and if so, what kind of bankruptcy. Before you decide to declare bankruptcy in the State of Colorado you should definitely meet with an Colorado Bankruptcy Lawyer. Bankruptcy, while it will shield you from creditors, will also destroy your credit and seriously alter your life. A Colorado bankruptcy lawyer will be able to help you decide if you have other options. Bankruptcy may not be your only option. There exist three other ways of dealing with creditors outside the courtroom. The first is an out of court settlement. Most creditors realize the time value of money and would much rather get a reduced settlement now then spend time litigating in court, paying for attorney’s fees, foreclosures and repossessions. Your Colorado Bankruptcy lawyer will be able to help you deal with your creditors so that you can pay a substantially smaller one lump sum payment or agree on a payment plan. Another option is to have your Colorado bankruptcy lawyer help you in debt counseling. This option is when the Colorado bankruptcy lawyer, or a debt consolidation service provider, helps you to consolidate your loans, lower your monthly payments and keep you from being attacked by creditors. The final alternative method is debt consolidation loans. This is when you get a refinancing on your mortgage in order to pay off other creditors. This option implies that you have collateral in your home. If all else fails your Colorado bankruptcy lawyer may agree that you need to file for bankruptcy. Your Colorado bankruptcy lawyer will help you with the complicated filing process, organize your assets and liabilities and figure out who your creditors are. A Colorado Bankruptcy lawyer will also be able to help you manipulate the federal and state exemption rules. You can tell by looking at the way the exemptions are stated there is a lot of leeway in establishing the worth of items. The value of books, jewelry, automobiles, and even homes can be downplayed considerably and your Colorado bankruptcy lawyer should know how to accomplish these objectives so that you are able to keep as much of your property shielded from creditors. There are a number of different types of bankruptcy that an individual, corporation, or partnership can declare. The most common are chapter 7, chapter 11, and chapter 13. In chapter 7 proceedings your Arizona bankruptcy lawyer will help you to get the bankruptcy court to liquidate your non-exempt property to be sold off to your creditors. In chapter 11 your Colorado bankruptcy lawyer will help you to reorganize your corporation or partnership. In chapter 13 the Colorado bankruptcy lawyer, with the courts supervision, will adjust the debts of the individuals with regular income. Where do I find Colorado Bankruptcy lawyers? 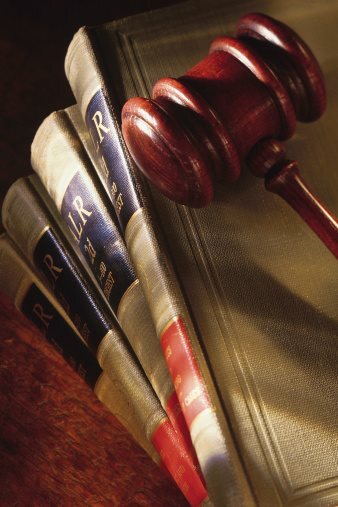 Bankruptcy law is a very specialized practice that is only litigated in state and federal bankruptcy courts. These courts have their own procedures and filing requirements. When you file for bankruptcy you want to be sure that your Colorado bankruptcy lawyer practices solely in that field, has years of experience, and is deemed a specialist by a Colorado bar certified organization. When you retain Colorado bankruptcy lawyers you want to be sure that you get a Colorado bankruptcy lawyer who is, not only familiar with litigating bankruptcy actions, but is also familiar with the specific bankruptcy court your action will be taking place in.